Wow… I haven’t updated my race blog since early November. I am sorry to keep all of my eager readers in the dark for so long ;-) Although, if anyone is upset by my lack of blog posts, there’s been plenty of action along the twitter front in it’s stead. Quick recap of my “off-season”; it wasn’t an off-season at all. I think I took a few days of after Clearwater and started building up again. That race left such a bad taste in my mouth I’ve been determined to become a better runner. I know it’s in me; I just had to go find it (I’ll probably be finding “it” for a long time). The first step to accomplishing this was to put my trust in someone that not only knows how to run fast, but putting it into an equation alongside two other sports. So I got serious about running and asked Mike Clinch to help me out and coach me. 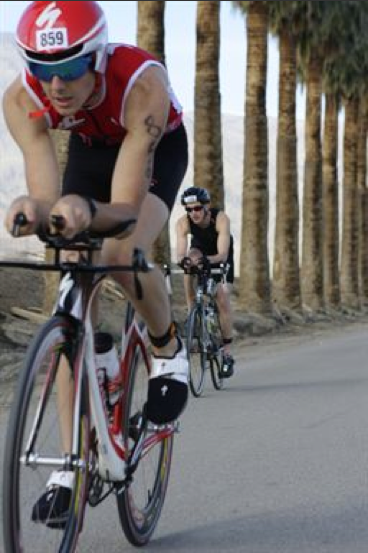 Mike is one of the most consistent and competitive athletes in any endurance sport and has been involved in triathlon for a long time, so I really value his knowledge and advice (not to mention that the dude makes you feel stupid on the track). Anyways, I had a tough break in early December on a run when my IT band decided to act a fool. I basically took all of December off running. That sucked because I was just starting to get comfortable. It might have been a blessing in disguise, as I got well acquainted with my new ride this year. B+L Bike & Sport has so graciously decided to let me ride a Shiv by Specialized (which very well might be the best bike on earth.. seriously). My ITB was ridiculously slow to heal but sometime in early February, I eased back into running. After a few weeks I was back, fresher and way more amped about running than I’ve ever been. Mike was careful about scheduling too much, too soon, but had me running consistently and adding something new to my repertoire: speed work. I’ve never really done any speed work before, so I immediately noticed a big surge in my speed. Now, I should say I haven’t been diving head first into speed work like an 800m runner --since I’m still geared towards the 70.3 distance-- but I’ve been doing a fair amount of it. One thing about doing this much running, along with keeping my biking and swimming the same, is the ability to be hungry at every moment in the day. I’m really glad I have a meal plan this semester at the Caf on campus. I’m pretty much going into that place and emptying out the salad bar, pasta station and sandwich meats area (and pray they don’t have bananas, or I’m taking enough for a small family of monkeys) every time. It’s only been a few months of really small races, but I’ve had a few good races so far. The 1st Collegiate race of the season, the CSUSM Sprint Triathlon at Fiesta I got 1st overall; which was nice to start the year off with a win. The TCSD March Duathlon was a good sign of progress in the run department. I ran with the runners during the 1st 2 mile loop, had the fastest bike split of the day, and hung on to finish 2nd behind Mike. I drove out to race the Palm Desert International Triathlon and had a decent swim, a decent bike and had to drop out on the run because of stomach cramps. And last weekend I did the first TCSD Triathlon of the year; raced well and finished 2nd overall behind my friend Kosuke Amano (who’s run is out of control fast right now). 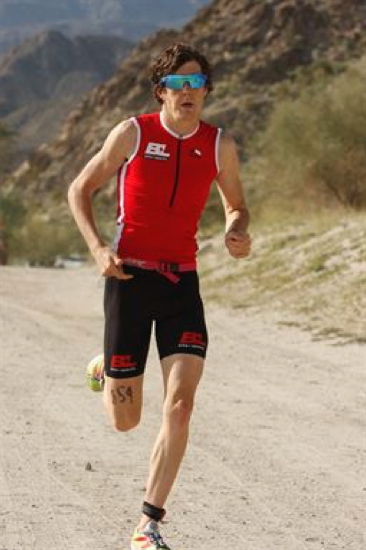 This will be my third season in endurance sports. Excited. I’ve got some awesome races planned this year and I know I’ll be racing with a lot of my good friends. There should be some quality twitter/facebook updates on my trips across the country to these races.